Are organic compounds really safer than synthetics? Two experts in the field share their thoughts. The original article below by Bubble & Bee owner Stephanie Greenwood was published in the October issue of Utah Stories Magazine. She shared her thoughts on what she feels is a dangerous chemical found in many households. We subsequently received a detailed response by Dr. Alan D. Eastman, a chemist from GreenFire Energy, that explains some of his concerns in a second article below. The third piece is Mrs. Greenwood’s rebuttal to Dr. Eastman. Phenoxyethanol is an aromatic ether alcohol. What does this mean? This ingredient starts out as phenol, a toxic white crystalline powder that’s created from benzene (a known carcinogen) and then is treated with ethylene oxide (also a known carcinogen) and an alkalai. Phenoxyethanol is a hidden “Fragrance” ingredient and also used as a preservative. One study found it to cause central nervous depression, it’s restricted in Japan and it’s a skin, eye and lung irritant. Not to mention carcinogenic contamination concerns. Made out of carcinogenic, toxic compounds, phenoxyethanol is an ingredient that I would suggest avoiding. Oftentimes it’s found in “natural” products. They’ll use phenoxyethanol as the preservative and then tout that they’re “paraben-free.” In addition, it’s commonly used as a fragrance ingredient. Many of the natural companies still use synthetic fragrance. They’ll tout that they’re “phlalate-free” but still contain phenoxyethanol. So, just because something’s “phlalate-free” or “paraben-free” doesn’t mean it’s safe. Any time you see “fragrance” listed, phenoxyethanol could be present. 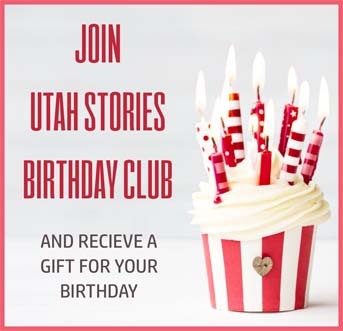 I have just yesterday become acquainted with Utah Stories – what a great idea! In harmony with your stated objective of telling the undistorted truth, I’d like to make a few comments about one of the articles in your October 2009 edition. As a professional chemist, the article “Chemical of the Month,” discussing a cosmetic additive called phenoxyethanol is a near-perfect example of distorting the truth to fit a pre-conceived idea. The author’s very first paragraph points out that phenoxyethanol is made from phenol, which itself is made from benzene, a known carcinogen. Phenol is then treated with ethylene oxide, another known carcinogen, then with an alkali. She is technically correct, but it makes as much sense to describe a very common compound around the house as being made from the reaction of a poison gas used in World War I with a substance that spontaneously bursts into flame if it comes in contact with air. That common substance is of course sodium chloride – table salt. That phenoxyethanol is made from rather scary ingredients does NOT necessarily mean that the material itself shares any of the adverse properties of its constituents, any more than table salt is a poisonous gas. Research studies have found that exposure to this ingredient — not the products containing it — caused the indicated health effect(s) in the studies reviewed by Skin Deep researchers. Actual health risks, if any, will vary based on the level of exposure to the ingredient and individual susceptibility — information not available in Skin Deep. The author of your article states that phenoxyethanol’s use is limited in Japan, but somehow does not mention what the EWG documents: the chemical’s use is restricted to cosmetics – the very area in which the material is generally used in the US. What a surprise! By the way, EWG defines their risk score of 4 (on a 1-10 scale) as meaning “moderate hazard.” Now remember that the score is for the chemical itself in its most concentrated form, not for products using that chemical. Since toxicity correlates to dosage, using such a material at the very low levels common for preservatives (phenoxyethanol’s function in cosmetics) means that the actual risks presented by this material are very, very low. The author’s obvious goal in her article is to tout her ‘chemical-free’ product line. Yes, phenoxyethanol is a chemical, no doubt about it. But it’s a far more benign material than one would think if your only information came from Stephanie Greenwood! If she wants to sell a truly synthetic-chemical-free product line, she will have to quit using virtually all commercially-available fragrances, eschew purchasing glycerine, and go back to lard, olive oil, fireplace ashes, and herbs to make her soaps, creams, and potions. Now, it’s clear that there are some very dangerous synthetic chemicals around, and that prudence demands caution – but to insist that we go back to the 17th century technologically in order to escape all those terrible materials is not only silly but unnecessary. If you would be interested, I would be pleased to write a short article on some of the fallacies inherent in so-called ‘chemical-free’ materials. Finally, I’d like to point out that I’m not an industry shill: my company, GreenFire Energy, is engaged in production of energy using advanced geothermal techniques, including a novel process that creates energy while at the same time sequestering CO2! Life is fun–and good technology is good for our planet and all of us who live on it. Well, it looks like I’ve succeeded–I live to stir up a good debate about chemicals! Thank you so much for offering your perspective on phenoxyethanol. I think it’s wonderful that you’ve challenged my perspective in a thoughtful manner. First I have to say that I’m not an employee or paid by Utah Stories, so my opinion does not necessarily reflect that of the publication. 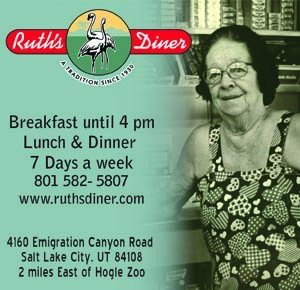 Chemical of the Day is a blog that I run, and due to the popularity of a previously published excerpt, Utah Stories asked me to offer one of my chemicals to their readers as a Chemical of the Month. And while I carefully research my information and believe everything to be true, Chemical of the Month is more of an opinion piece than the other hard-hitting journalism found in the publication. We will make this more clear for future pieces. That said, I’ll be happy to delve deeper in substantiating my claims against the chemical. I hold fast to my claims. Your point about table salt is not lost on me. I’m assuming you’re talking about the classic textbook reaction of hydrochloric acid (the poisonous gas) and sodium hydroxide (the substance that can burst in to flame). However, on a chemical level, it’s not a fully accurate analogy. HCl plus NaOH is a simple reaction dealing with only four elements. When measured precisely, we know that these two chemicals will combine to solely create water (H2O) and NaCl (table salt). This is simple inorganic chemistry. All original bonds are broken and reformed to create new compounds. As you can see, it still retains the hexagon structure of the benzene ring. When a compound contains a benzene ring, it’s called an “aromatic hydrocarbon.” Because it is only one atom away from benzene, phenol still has many negative health effects. According to the World Health Organization, phenol “may cause effects on the central nervous system, heart and kidneys, resulting in convulsions, coma, cardiac disorders respiratory failure, collapse.” It’s also classified as a suspected carcinogen. So, to make phenoxyethanol, you take phenol and you add ethylene oxide and an alkali. This reaction doesn’t break down the benzene ring of the phenol, but just adds a longer “tail” to the structure. But the risk isn’t limited to infants. Any time you have a benzene ring in a synthetic compound like this one, you have the risk of disrupting reproductive health. All three forms of estrogen (estrone, estradiol, and estriol) are made up of complex benzene rings. Estrogen receptors in the body are designed to react to these particular benzene rings. But when a synthetic chemical containing benzene rings enters the body, it binds to estrogen receptors and stimulate cells incorrectly or disrupts the biometabolic pathways. Each variation is going to interfere in different ways, some more strongly than others. Phenoxyethanol has been studied and it has been found to affect reproductive health (see here). One may argue that the exposure to phenoxyethanol and (subsequent dioxane contamination) is too small in cosmetic applications to affect health. You may say that you’d have to ingest gallons of the stuff to see the negative effects. Yes, perhaps using a lotion with a small amount of phenoxyethanol one time isn’t going to make your body go haywire. But with cosmetic items we’re looking at repeated multiple daily exposure. From the lotions, perfumes, makeups, deodorants, soaps, aftershaves, hairsprays, shampoos, conditioners, and other personal care items, we’re exposing ourselves to gallons and gallons of chemicals every day, after day, after day. Not to mention the plastics around us like PVC, BPA and phlalates that are suspected to mimic estrogen, as well as pesticide residues from our foods. Perhaps isolated, exposing oneself to one chemical may not have terrible side effects. But over time these trace amounts do enter our bodies and do affect our health. If we can limit the toxic load that we’re exposing ourselves to, why wouldn’t we? For the most part, I do come from a “17th century” mindset. I don’t use commercially-produced fragrances because most of them are aromatic hydrocarbons. I don’t use synthetic preservatives or emulsifiers. 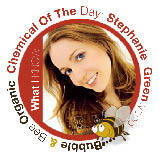 I do, for the large majority, only use natural and organic herbs and oils in my products. The closer I am to making something the old-fashioned way, the better. Perhaps my article was one-sided. But I feel it’s not inappropriate. Billions of marketing dollars are spent every year by multi-national corporations to argue otherwise. Perhaps my article was oversimplified. I simply did not have the room in a one page article to get down to the molecular level in an explanation, nor do most readers want a lesson in organic chemistry. So, I’ve written my blog and this article in an easy-to-digest format for readers’ easy reference. I apologize for not explaining what the EWG Risk Score was. This was an excerpt from my blog, and my blog readers are already familiar with the resource and look to this resource as a baseline for making decisions. I’ll correct this for any future articles. Alan, I applaud your efforts at GreenFire Energies. I am for technologies that clean our world and make it a better place. I would welcome an article explaining the fallacies of “chemical-free” products, as most of them that claim to be “natural” or “organic” still contain synthetic chemicals.